Are you in need of a wardrobe refresh? Or dressing to impress for a special event? We’ve been styling customers for over 20 years and have dressed ladies all over the country for weddings, race days, cruises, proms, evening and general every day wear. Our complimentary, no obligation styling service give you a shopping experience to remember and our goal is for you to leave looking stylish and feeling confident! Always available on a walk-in basis – no booking required! We aim to give all our customers the VIP treatment. During your visit, there will be a stylist on hand to assist you in finding your perfect ensemble, from head to toe. No appointment necessary, just come along during our opening hours. Our one-to-one personal styling consultation is by appointment only. Are you looking for a total wardrobe refresh? Or just adding key pieces to your spring or autumn collection? 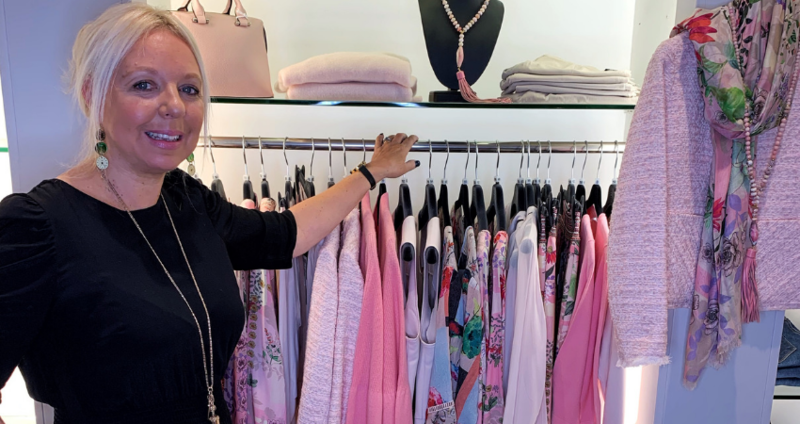 Our experienced stylist, Camille, will provide you with the confidence, inspiration and know-how to build the ultimate wardrobe that takes you from day to night and from season to season.